Learn strategies and techniques on how to diffuse your anger and channel your energies to help you achieve your goals in life. Our anger management training course greatly benefits those who need help controlling their outbursts of anger. Delegates soon learn how to recognise the signs of anger and how to manage it. 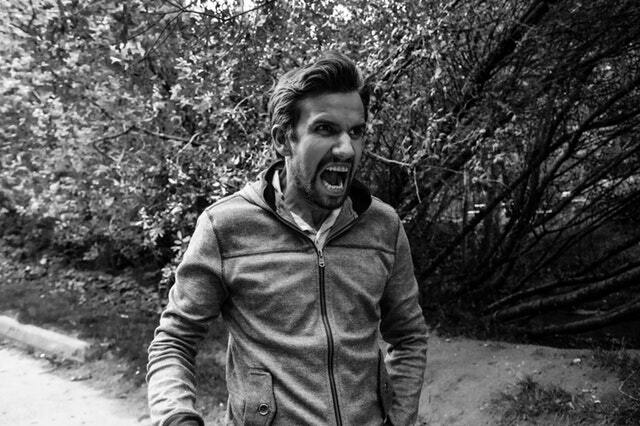 We are all capable of getting angry – it is a normal, usually healthy emotion. But when it gets out of control it becomes destructive and can lead to all sorts of problems. You cannot eliminate anger from your life - you will always come across situations which provoke anger. The key to approaching anger is to take responsibility for your own reactions and behaviour by addressing angry feelings with new coping mechanisms and responses. Anger is 'an emotional state that varies in intensity from mild irritation to intense fury and rage' according to Charles Spielberger, Ph.D., a psychologist who specialises in the study of anger. Like other emotions, it is accompanied by physiological and biological changes; when you get angry, your heart rate and blood pressure go up, as does the level of your energy hormones, adrenaline and noradrenaline. Anger can be caused by both external and internal events. You could be angry at a specific person or an event (a parking ticket, losing some money), or your anger could be caused by worrying about personal problems. Memories of traumatic or enraging events can also trigger angry feelings. The natural way to express anger is to respond aggressively. If we are threatened our natural response is to 'fight or flight' – this is our body's primitive, automatic, inborn response that prepares the body to 'fight or flight' from perceived attack, harm or threat to our survival. Some anger, therefore, is necessary to our survival. On the other hand, we cannot hit every person or object that irritates or annoys us. Anger is seen as a bad personal quality and is often punished. Those who become angered quickly are usually avoided by others who do not feel comfortable in volatile situations. Anger is contagious in that others become angry as a matter of retaliation. Our anger control courses helps delegates identify the causes of anger and reduce both the emotional feelings and the physiological arousal that anger causes. For example if a person learns at an early age that getting angry is the only way to get what they want, they need to learn other methods of negotiation. Delegates will be encouraged to keep an Anger Diary to record recent anger situations or particular anger problems they are having. This will help us to develop suitable strategies for delegates to control their reactions and deal with such situations. Anyone who is hurting themself and others with their anger and rage and people who need to be more assertive and less passive or aggressive. Our anger management courses consist of one-to-one training with a tutor who has helped company directors, doctors, office and manual workers control their anger. One-to-one training allows the tutor to move at the pace of the delegate (as fast or slow as necessary; as deep into the subject as appropriate, and with as much development as possible). Anger management courses can be held at your business premises or a location of your choice. Depending on the location the course will cost from £900 + VAT. We do not run training courses for people from different companies to attend. It is important to identify the causes of a person's anger and help that person to develop ways of coping with it. Therefore we do not run courses for a number of people who might have different needs. use your enhanced feelings of self confidence in a productive manner. If you are interested in finding out more about our Anger Management course please fill out the form.